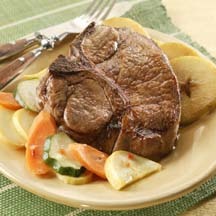 CooksRecipes has quality, kitchen-tested recipes for pork chops made with vegetables that you can count on for successful deliciousness. 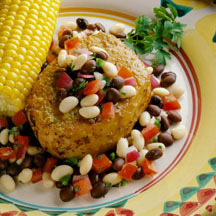 The bean salsa for this dish can be made ahead, even the day before. Serve with rice and fresh spinach and orange salad. 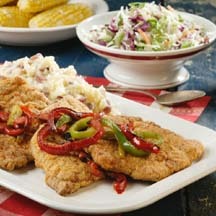 Smothered with sautéed peppers, these cornmeal-dredged and fried pork cutlets go country-fried steak one better.